Toradex is a regular participant at most events, exhibitions and trade fairs, organized by major players of the embedded industry, such as Embedded World, Arm TechCon, and NXP®/Freescale Technology Forums. We display our product portfolio at these events, and also present demos designed to showcase the Toradex CoM/SoM capabilities, with emphasis on its unbeatable power, price, and performance. Visit our booths, and chat with our engineers, at your convenience. They will be most delighted to familiarize you with Toradex happenings, latest releases, and also educate you on the many advantages of employing a CoM/SoM for your applications. Results: 1-1 of 1 Events. 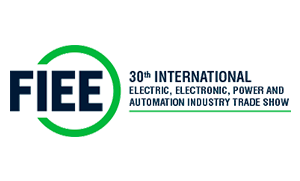 The 30th edition of FIEE - now called FIEE Smart Future - promises to live up to its 60-year tradition by bringing together technology, connectivity and content of the highest technical level. Toradex Brasil will once again be present as a key exhibitor and will be showcasing the latest additions to its interesting product portfolio including NXP® i.MX 8-based SoMs.